The BitTorrent application once known as Azureus continues to be a popular choice as many are attracted by its slick interface and wealth of features. Follow the directions below to hide your real IP from other BitTorrent users as well as companies that use advanced tracking software to spy on users who download certain torrents. Make sure “Mode” is selected at the left pane inside the Options window. 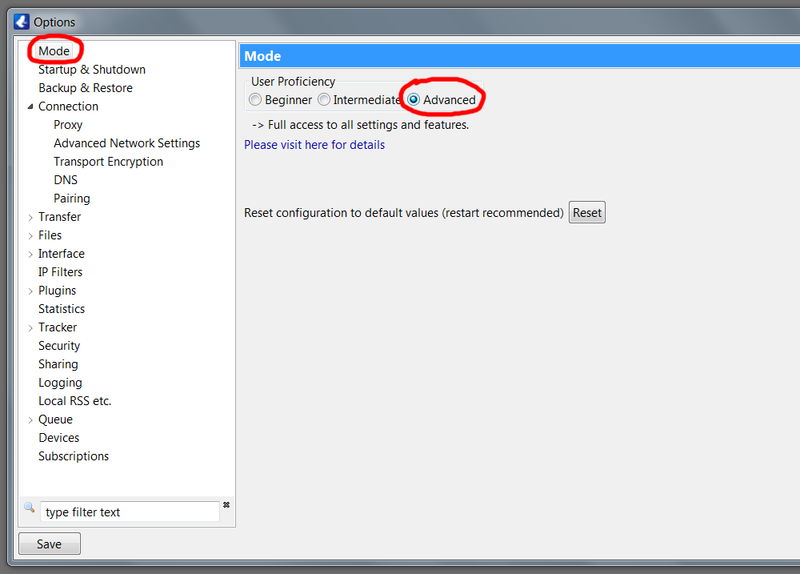 Under “User Proficiency” click on the radio button marked “Advanced.” This will give you access to proxy options not available when the lower levels of user proficiency are enabled. Click on the small arrow next to “Connection” in the left pane. This item will expand to reveal subsections. Click on “Proxy” (listed under “Connection”). Don’t restart yet; do that later after you’ve entered the required values in the Proxy window. To continue with this step you’ll need to determine which proxy host you’d like to use. For testing purposes I used a SOCKS v5 host I found on socks-proxy.net, and while this is adequate for very small files the speeds are much slower than paid services. If you plan on hiding your IP in Vuze on a regular basis and are interested in larger files like most people (movies, music, software), you’ll need to sign up with a VPN service. Enter the information provided by a site that lists proxy host IPs (and ports). As a sample to give you a good idea of what you need to enter, I’ve entered the required fields using a publicly available host from Russia in the screenshot. After you’d entered the required info remember to click on the “Save” button in the lower left of the window. Now you can safely restart the software. Go to File > Restart Vuze (just above Exit). That’s it! You’re now ready to start downloading. Load in a torrent and see what kind of speeds you’re able to get. This entry was posted in Proxy Tutorials, VPN, Windows and tagged BitTorrent, PC, torrent, Windows on April 6, 2015 by admin.